Are you ready for the weekend? Unfortunately I have to get something done so my weekend won't be a real one, yet I am glad to be able to sleep longer. I am setting my hopes high for the next weekend! My love for Tom Ford Beauty line grow despite my limited access to a counter. Usually when I don't have the opportunity to play with the products over and over again, I fall out of love but Tom and me, it went the other way around. The more I missed him, the stronger my love grew. Each time I visited Berlin, I found myself glued to the counter touching the... products! During my last visit I was determined to find the right shade of foundation for my complexion. I was expecting to get my hands a little dirty but this visit turned out be more than that! As I couldn't grasp the high tech behind a twist open pump and ended up splashing a good dose of foundation on one of my favorite cashmere sweaters, I thought, Tom, you are nasty! Long story short me and my sweater were both matched with #03 Fawn of Tom Ford's latest Traceless Perfecting Foundation which I am testing for the last couple of weeks. Today I would like to share my thoughts with you. And in case you wonder, a touch of stain remover worked wonders and I could save my sweater. Usually as a normal to dry skinned gal, I should have opted for Traceless Foundation which has a dewy finish. Once I tried Traceless Perfecting Foundation though, I loved the way it appears on my skin, not dewy, not powdery nor matte, exactly in between, just like my skin but better. 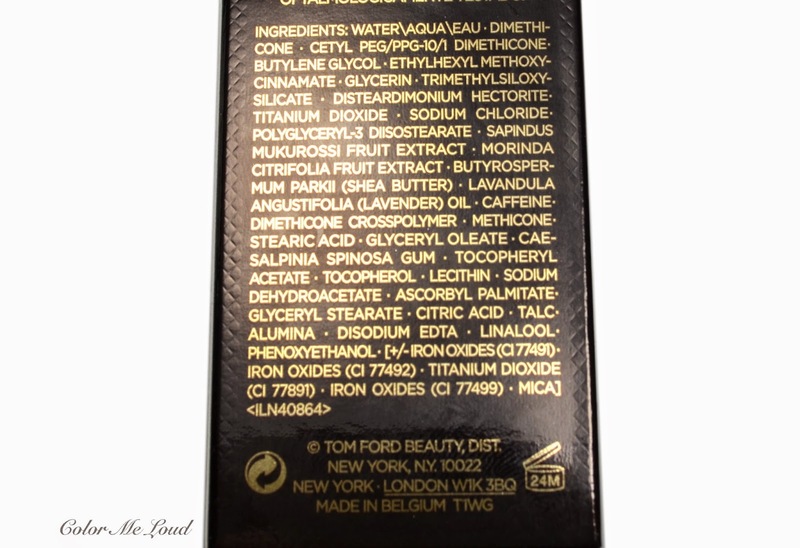 I apply Tom Ford Traceless Perfecting Foundation after my moisturiser. It doesn't make my skin feel dry nor does it accentuate dry patches. I can't command on how it applies to very dehydrated or very dry skin though so please share your thoughts in the comments below if you have extreme dryness and tested this foundation. I have tried different application methods to find the longest wear time and most natural finish for myself. The methods I tried were application with fingers, with a foundation brush such like Tom Ford Foundation Brush and with a duo fibre brush. I have also tried slightly damp brushes by spraying some MAC Fix+ from a distance. Although all of these methods give a nice finish, I found out that for me what works best is a buffing it with a Duo-Fibre brush, such as Hakuhodo J4001 (pictured below) after damping it slightly with MAC Fix+. That way the foundation looks very natural and wears over 12 hours on me. The coverage can be increased a little if you use a foundation brush and build up layers, but I prefer my skin showing through and getting rid of spots with as locally as possible using a concealer afterwards. There are fifteen shades in the line depending on where you live. I was matched with #03 Fawn at the counter although I thought it would be too yellow for my natural undertones. Once applied though it looks very natural and not too warm. Currently my best match in terms of shade is Chanel B20 and as you see #03 Fawn and B20 are very close. I have also included MAC Mineralize Satin Foundation just as a reference, #03 is definitely close to NC20 from MAC. Check out this post from Monsiieur Alex for shade descriptions, I found it very helpful. YSL Fusion Ink B20 (reviewed here) is lighter and cooler. Traceless Perfecting Foundation has no perfume, offers SPF 15 and is free of parabens. There are high quality natural ingredients such as shea butter and fruit extracts. Although not listed in the first ten ingredients, it has lavender oil and linalool listed in ingredients, which you have to consider in case your skin is sensitive to these. 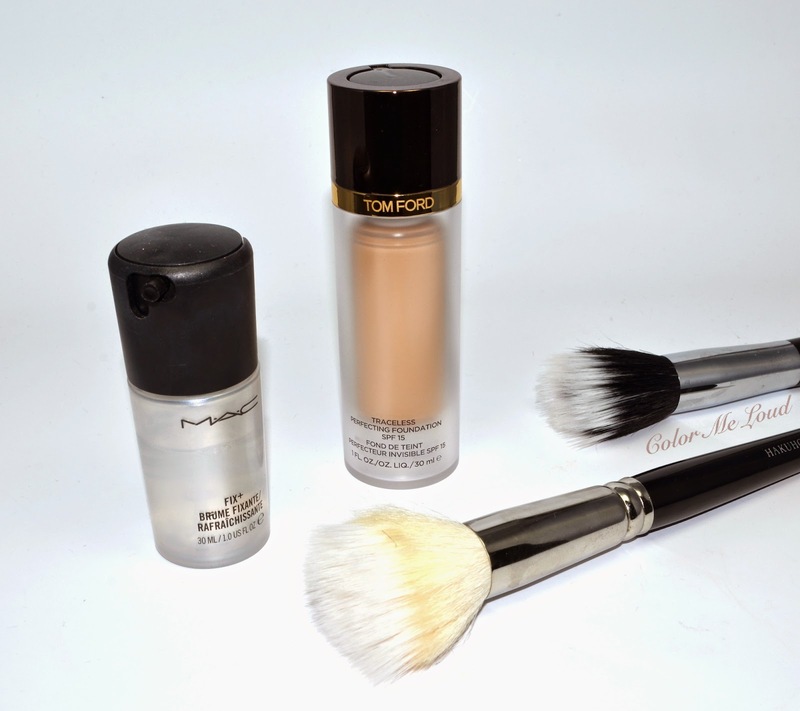 Tom Ford Traceless Perfecting Foundation comes in 30 ml/ 1 OZ bottle and costs around 74€/$78. 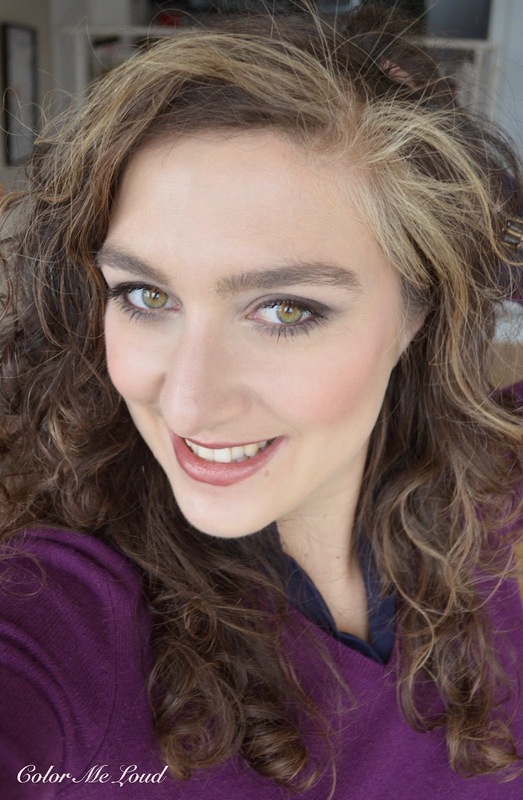 I have worn Tom Ford Traceless Perfecting Foundation #03 Fawn for most of the FOTD during last weeks, such as here, here and here. Below I am wearing it together with one of my favorite boys Tom Ford Blake (reviewed here). The review of the products on eyes and cheeks will be revealed later this week, so stay tuned. PS: I am loving that blush! Also check out great reviews by The Beauty Look Book, Cafe Make-up, Gummy Vision and Monsiieur Alex. 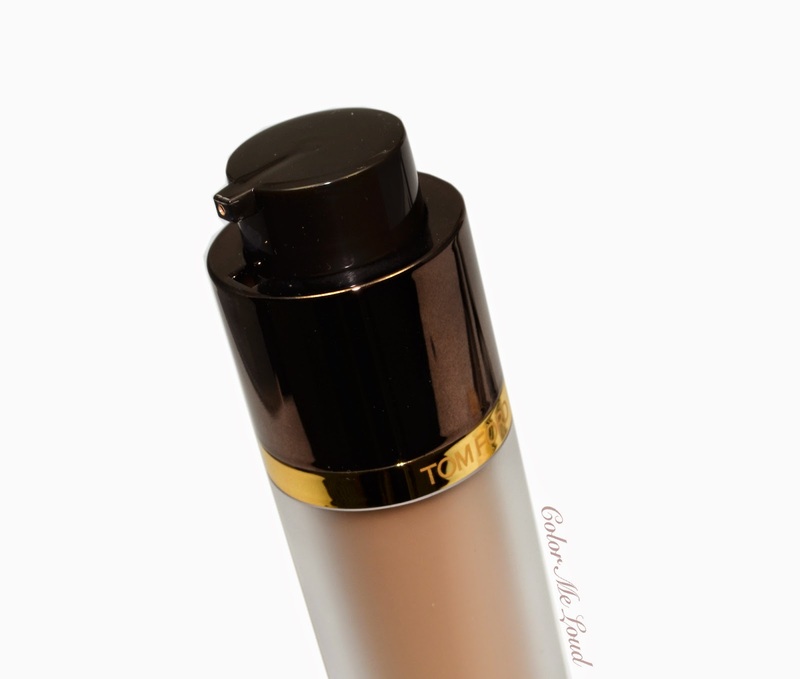 Final thoughts: I am loving the skin-like finish and the longevity of Tom Ford Traceless Perfecting Foundation, I am happy that it doesn't dry out my normal to dry skin even during winter. If you are in search for a light to medium coverage, you have to try it. What is your favourite foundation at the moment? I'm so glad to hear you managed to save your sweater! I'd be so pissed if my favorite cashmere sweater gets ruined! Since I have no access to TF foundations, I really haven't tried any. Glad to hear this one is superb, although for the price tag it'd really better be! I was very pissed lol! I told you we should meet in Duesseldorf for an extensive session with Tom! yes this is a coverage which is good enough for me. I wouldn't like to cover more. The more I cover more mask like my face is and I don't like it. Wow! You look completely airbrushed! It looks really beautifully soft and matte on you without making your skin look completely flat. Are you wearing any powder over it? My fave these days is another Tom, the foundation stick which has that really dewy finish, which is my general preference. 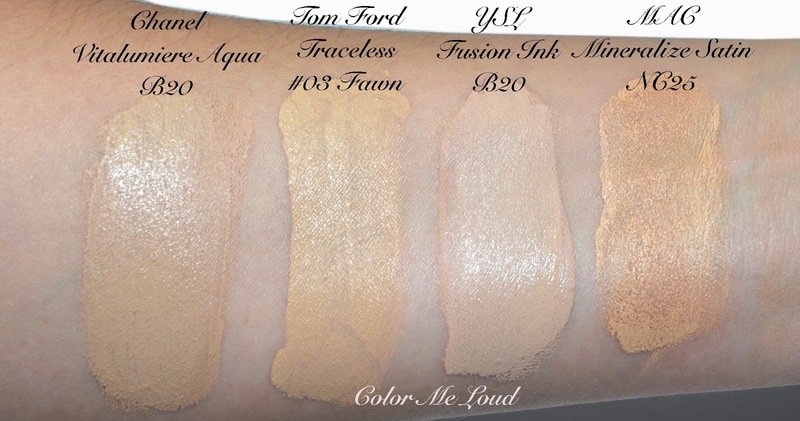 I'm kind of laughing at how yellow 03 Fawn looks relatively to some of the other shades in the comparison photo, because that color looks too pink on my skin! :) I must be the color of a banana. I am wearing Rouge Bunny Rouge Diaphanous over it :-) Very lightly dusted under the eyes, on to cheeks and forehead. This is def a must try. Love the flawless look of the skin. You look amazing! I will surely check on this. I don't use foundation. Yes, I know... I never liked foundations per se and my last bottles were Lancome Photogenic and H. Rubinstein Color Clone Sheer which I finished circa 2008:-) As I mentioned on IG, I'm really glad I found your blog. I'm not really interested in drugstore makeup and I've noticed that a lot of bloggers censored the amount of high end products due to comments. I feel like a lot of these comment are written by girls who own 20 Maybelline lipsticks but gasp whenever something more luxurious shows up. Great job and I'm waiting for new posts. PS. I don't have idea why but TF quads are much cheaper in Berlin then they are in the UK. Next time my friend goes shopping in Berlin she's bringing me one. Again, as I said on IG- I'm so glad to eventually find a high end makeup blog. Keep up with a great job! I found your comment and answered! I have dry, mature skin and found I could wear this particular foundation but only if I moisturized really, really well. Another problem I had was with the shade selection. In both the original Traceless and the stick foundation, I wear Pale Dune, but that shade was eliminated in the Traceless Perfecting lineup. The SA and I were able to replicate my shade by mixing a couple of colors, but we both agreed that it was kind of silly to go to so much hassle when my perfect shade and formulation was already available in the other two foundations. The lovely SA did send me away with a generous sample of my "custom blend"--enough for a week--so that I could try it out over various moisturizers, but it just wasn't working for me. It is a lovely foundation that creates that subtle real skin glow and it does last a very long time without fading away, but there are better choices out there for those of us with truly dry skin. Thanks so much for sharing your experience with us Eileen. I have heard that Pale Dune is not available in this range, I wonder why. I am happy to find a match for me because I like the finish a lot and you are definitely right, it is so long lasting for a sheer/natural foundation. Does the traceless stick work better for you? I don't know what I was thinking but I have one in Bisque and it is really dark for me so I ended up not using it. I should maybe give it a go, do you use it with the cream foundation brush? 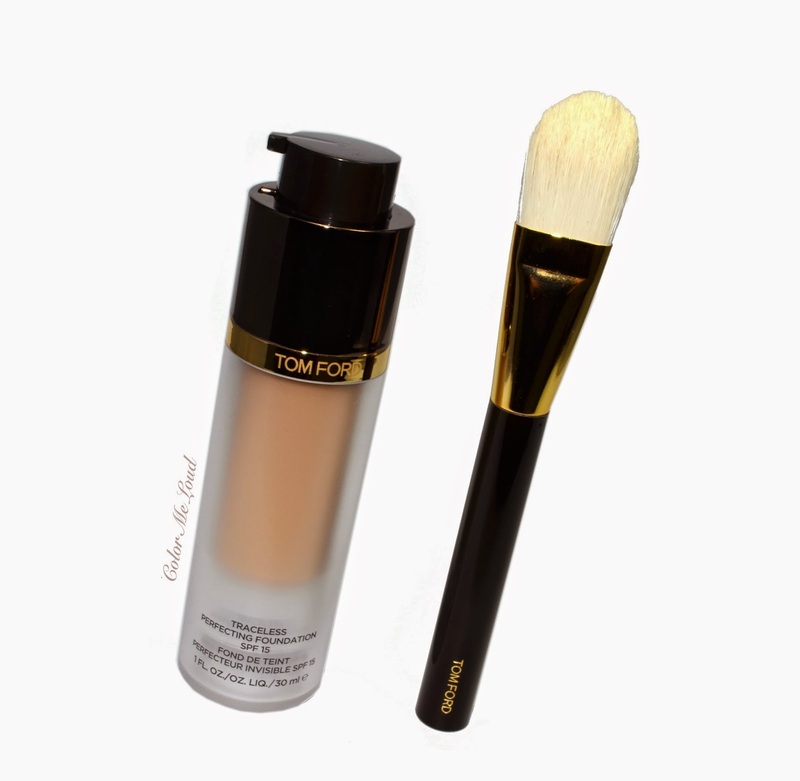 I adore the stick foundation for evening or whenever I want a more polished appearance and, yes, I use TF's cream foundation brush to apply it. Because my skin is so dry, the emollients in the stick are a boon for me. I have no problem with the finish becoming too shiny or the foundation slipping away as the day wears on. I apply a whisper of finishing powder (usually Météorites) and that makes the foundation last all day and into the evening. The stick glides on easily, wears beautifully, and has a lovely soft glow. As for coverage, it can range anywhere from sheer to full just depending on how much product I choose to use. As you can tell, I'm a huge fan of the stick foundation and find it to be an excellent foundation for those of us with dry skin. Now I am convinced I need a lighter shade of my stick foundation. I will check that out soon, although it has to be in a few months because I don't have a counter close by. I feel like you are falling down the Tom Ford rabbit hole lol. I'm really glad you were able to save the sweater too! I really want to try this one, and the foundation stick. I didn't quite realize that there are two different liquid formulas!